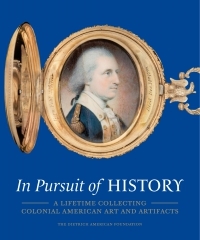 This authoritative book surveys the remarkable collection of 18th-century French paintings at The Metropolitan Museum of Art in the context of the institutions that governed the visual arts in the 1700s—the Académie Royale de Peinture et de Sculpture, the Académie de France à Rome, and the Paris Salon. The works catalogued feature stunning examples by leading painters of the period, including Antoine Watteau, Jean Siméon Chardin, François Boucher, Joseph Siffred Duplessis, Jean-Baptiste Greuze, Hubert Robert, Jacques Louis David, the Van Blarenberghes, and François Gérard. Katharine Baetjer provides an incisive history of the Académie Royale, its formation, principles, and regulations, and explores the beginnings of public art discourse in France. Organized chronologically by artists’ birth years, the book includes a short biography of each artist and in-depth discussions of individual paintings that incorporate the most up-to-date scholarship, while numerous comparative illustrations provide essential context. Katharine Baetjer is curator emerita in the Department of European Paintings at The Metropolitan Museum of Art.